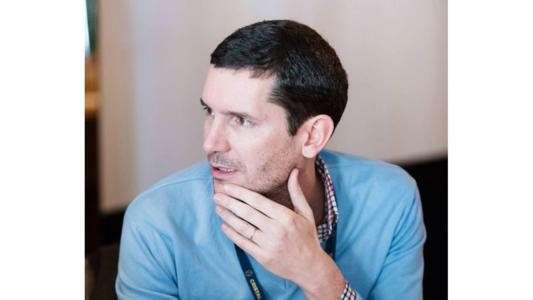 Matthieu Faure (Ofo): "We complement the sharing economy by the use of IoT and smart phone applications"
One of the world’s largest lockless bike-sharing companies, Ofo, which operates over 10 million yellow-colored bicycles in 250 cities in 20 countries, the vast majority of which are in China, has raised more than $1 billion from Chinese venture capitalists, including Alibaba. It launched in Paris in December 2017, becoming the fourth bike-sharing operator in the city. We talked to Matthieu Faure, head of marketing for France, to learn more about Ofo's development and current market share. Leaders League. How do you view the current state of the French bike sharing market? Matthieu Faure. Quite a few players are present in this market, and we believe that in the mid and long term there won’t be a place for everyone, so the market will certainly consolidate. At Ofo we adopt an approach of quality and open discussion, which means that we value the quality of our product and service, and we seek active discussions with city authorities to find an appropriate way of working in the French market. We are committed to becoming part of the ecosystem to develop the usage of bikes as a green urban mobility tool. Our progressive and prudent approach might be less aggressive, and we might have launched at a slower pace than some of our competitors, but we are convinced that in the long term it will be the right approach to ensure the right service with the right bike. In Paris, for instance, we are the only free-floating company to propose three-gear bikes, and for a trip of two or three kilometers it’s always useful to have such a product to better suit the needs of users. In China, bike-sharing essentially tackles the “first and last mile” issue, connecting people between their house and the closest public transport station, for example. In France's more developed transport infrastructure, what can Ofo offer users? In Paris we still have the issue of “first and last mile,” maybe less regarding metro stations as the distance between two stations is generally only a few hundred meters and can be made on foot. But this problem still exists, especially between RER stations, where the use of our bikes is quite frequent. In this case we compliment other means of transportation. In addition, we also tackle the “full mile” issue, meaning using the bike as the sole transport tool from departure point to arrival point. In Paris and more generally in France, urban journeys are conducted in less than five kilometers, and biking is absolutely suitable in such cases. We are still at the beginning of our launch phase, so we will see if this bears out. It depends on the country. For the moment in France we charge for each trip, and in certain countries we propose subscriptions like Velib’ in Paris. If you use the bike as a complementary tool from time to time, the price is quite attractive as no deposit or subscription fee is required, and since there are no fixed docking stations, the user experience from beginning to end is simpler and more agreeable. For bike sharing companies, vandalism raises serious concerns. How do you solve this problem? First of all, we propose a reliable bike conceived for intensive use within the urban environment, and we constantly optimize our bikes. Secondly, we put intensive R&D efforts into the connected lock to make it as solid as possible. The third point is the service: we make sure to have the right human and financial resources in place to assure the reactivity of our operational service. For example when a bike is broken, we make sure to identify its location and problem very quickly, and repair it rapidly either on the spot or remove it for repair in our warehouse. This is also a very important step against vandalism, because if you leave broken bikes on the street, then people might be tempted to break other bikes. Finally education is also very important, and we communicate our “Good Behavior” guide on social networks, in our apps and through email to explain to our users how our service functions and promote best practices. Our first and most important medium to build our brand and recruit new users is the bike itself. What would you identify as priorities of action to take? The foremost priority is to intensify our supply, notably in Paris, so as to render our service and product the most accessible possible. That being said, we’ll stick to our progressive approach and won’t put five thousand bikes on the street in one day. The second one is to increase demand by recruiting more users and satisfying them with a high-quality product and service. How do you recruit new users? Our first and most important medium to build our brand and recruit new users is the bike itself. The bike is yellow, esthetically pleasing and visible, so when people see it on the street, those who know it already would like to try it, and those who don't are curious and look Ofo up on the internet or download our app. Our second channel of recruitment during the launch phase is a promotional offer that works as an acceleration factor inciting the curious to try our service, which is very important. In France we started by offering a 40 minute free trial to incite people to download our app, now it’s 20 minutes, and once we’re well settled in the market, we’ll do the promotion in a more event-driven way. What is the level of acceptance of the French market regarding the sharing economy? Generally speaking, in France people have quite a favorable attitude towards the sharing economy, and the transition from owner economy to sharing economy slowly started almost a decade ago. There is still room for education, but the market exists already in several sectors such as mobility, accommodation, repair and maintenance, so people are quite used to it. Concerning bike sharing, Velib’ and Vélo'v have existed since 2007 in Paris and Lyon (even before in Rennes) and have contributed in a large way to the emergence of this phenomenon, and then we arrived in this market to complement it by the use of IoT and smart phone applications, bringing a value proposition that is simpler and more advantageous. What advice would you give to Chinese companies with ambitions of developing in the European market? Don’t simply replicate identically what has worked in China. For example, at Ofo we don’t simple do what we already did in China: in Beijing alone we have two million bikes, but in Paris only 1,000. We are in the mode of “launch-and-learn” vs “test-and-learn,” so we prefer to launch our product first, experiment in real life, optimize and then scale, in a relatively short time but in a proper way. Finally I would also suggest that they keep an open mind, discuss with users via market research, other stakeholders in the ecosystem as well as public institutions. This interview was conducted during the China Connect event in Paris on 7-8 March, 2018. Summary Li Hu (CIETAC): "Last year CIETAC accepted 2,298 new cases, 476 of them international"